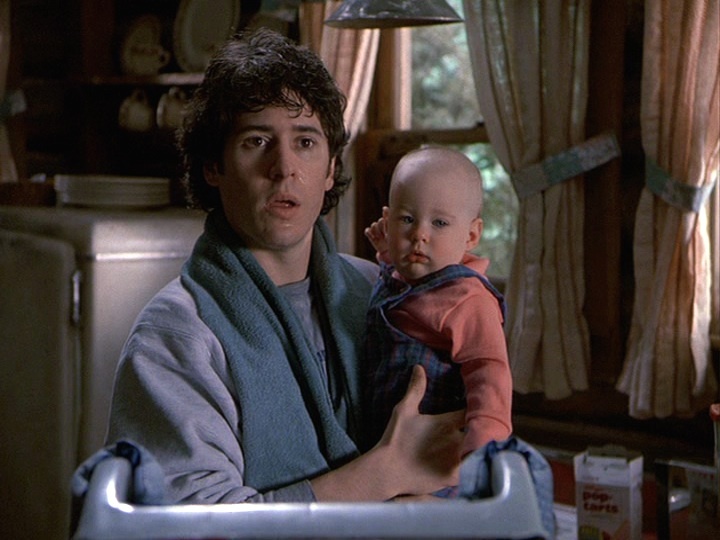 Log line: Shelly’s mother drops in unexpectedly with her new twenty-four-year-old husband, a baby abandoned in Joel’s waiting room is temporarily adopted by the townspeople, and Adam undergoes the same changes as his pregnant wife. The town of Cicely is near idyllic, filled with good, eccentric people, and one can’t really imagine a tragedy shaking the foundation of the community. The place has had its share of tragedies, of course: the deaths of Rick, Soapy Sanderson, and the unknown man; it even has endured a fire, and government coverups about environmental devastation. It would be inaccurate to say that nothing bad happens to the town; rather, it would be better to say that the Cicelians bear unexpected and negative events with an unsettling grace and positive attitude. 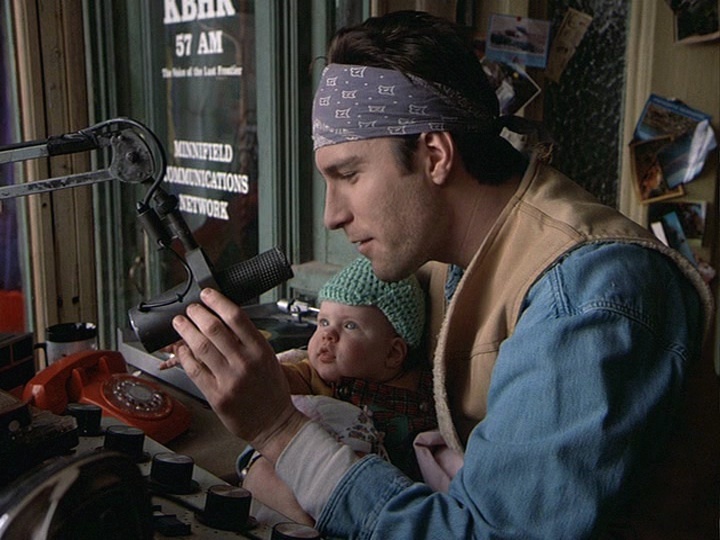 We have remarked upon the lack of children on Northern Exposure, so it is unusual that a child would be the centre of the plot in this episode. When we examine the three story lines, Baby G, Adam, and Tammy, it becomes clear how ideas of parenthood are integral to the episode. In fact, we can venture as far as to suggest that this episode strongly follows the development of a child. Working at The Brick to save money for his future child, Adam experiences foreign feelings of happiness and worry. He suddenly says “Thanks” and apologizes to Dave, and he develops an aversion to cooking, and even becomes sick at the smell of Camembert cheese. 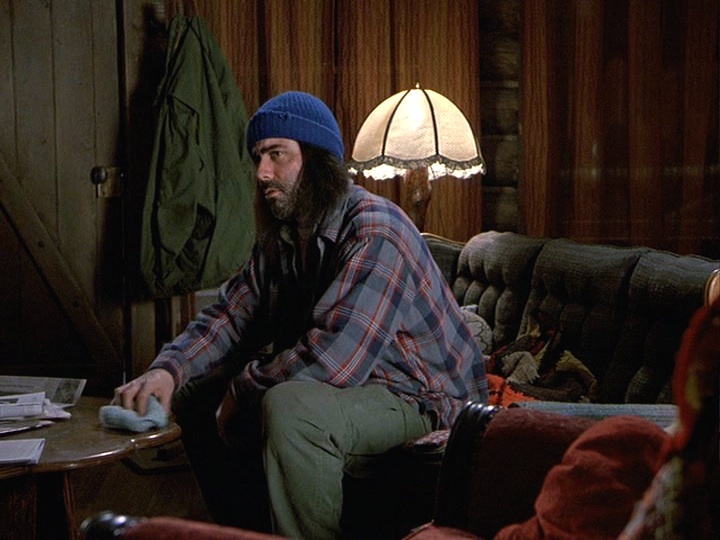 He shows up at Joel’s cabin and starts cleaning it without prompting. Joel theorizes that he is experiencing “Couvade syndrome,” a condition where a father experiences the same symptoms as his expecting partner (a kind of sympathetic pregnancy). When Eve enters her 2nd trimester, Adam experiences similar “happy hormones” that are typical of pregnant women. 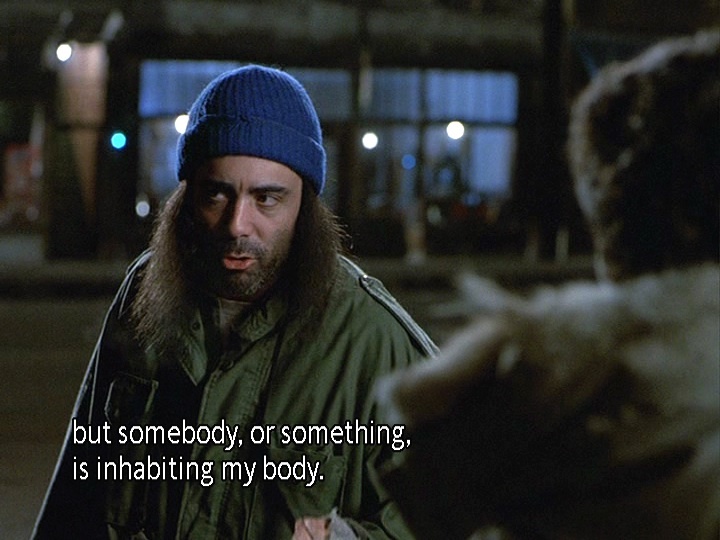 In an earlier moment, Adam tries to describe his odd feelings as “somebody or something is inhabiting my body,” which is essentially what happens when a foetus is growing inside a woman’s body. At the same time that Adam discovers himself being sympathetically pregnant, we have a kind of birth in the arrival of Baby G. As normal babies are delivered by doctors, this abandoned baby is found at the doctor’s office. Throughout the episode, we see characters on the show take care of the child, and we learn a little bit about each person’s parenting style. 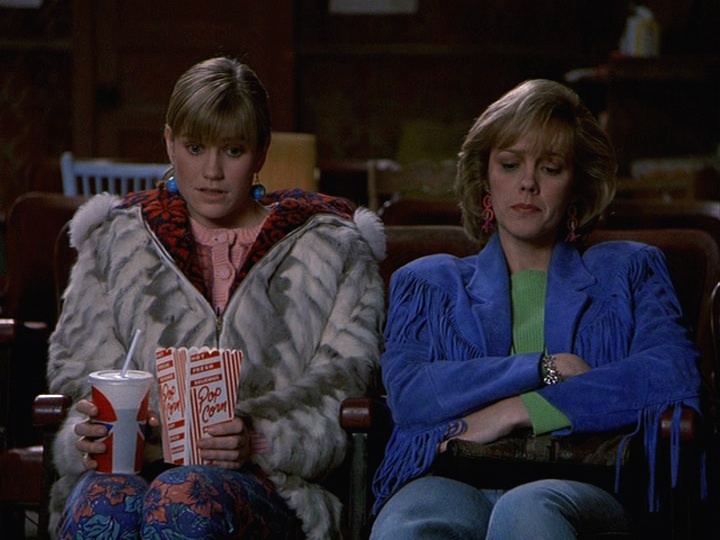 We move on to a child’s later years in the story line with Tammy and Shelly. 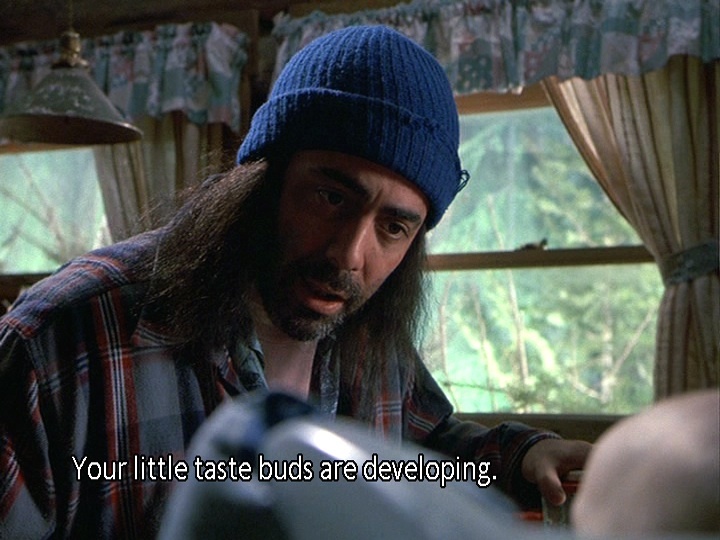 The writers seem to play with the baby idea when Kenny arrives after driving hundreds of miles and says to Holling, “Sir, I’d go all the way to the end of the world for my baby,” when referring to his love Tammy. 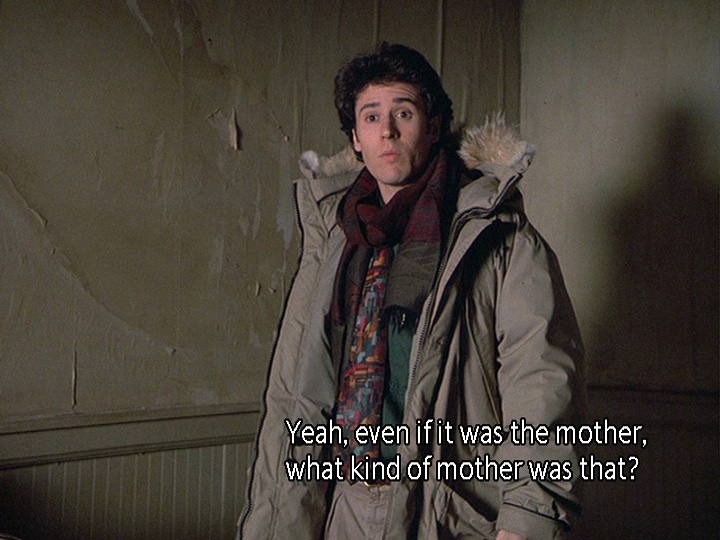 The situation with Tammy and Shelly is a role reversal, as it is clear from the very first moments of their reunion that Shelly plays the parental role in the relationship with her mother. 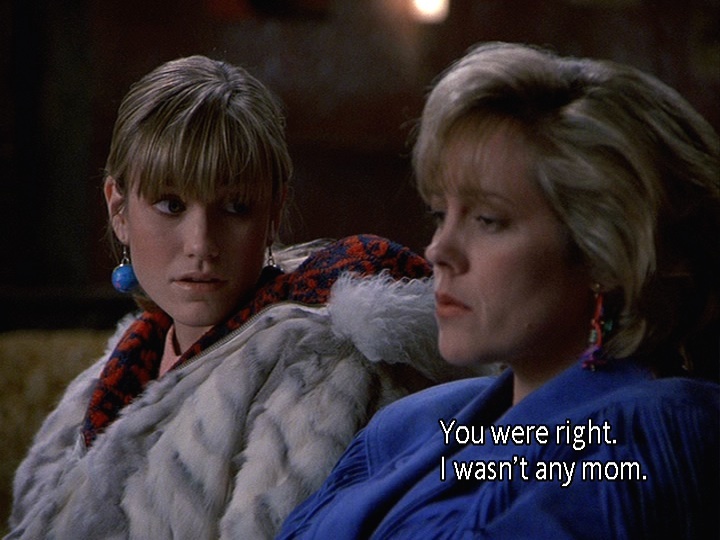 Shelly’s first exchange with her mother conveys her worry about her: “Oh Tammy, what are you doing here? Are you okay?” Like a child, Tammy can’t tell Kenny the truth about her age and her relationship with Shelly, and hides that lie with even more lies. Even so, we see both women squeal like little girls when Tammy shows Shelly her ring; at several moments both of them act like teenagers. 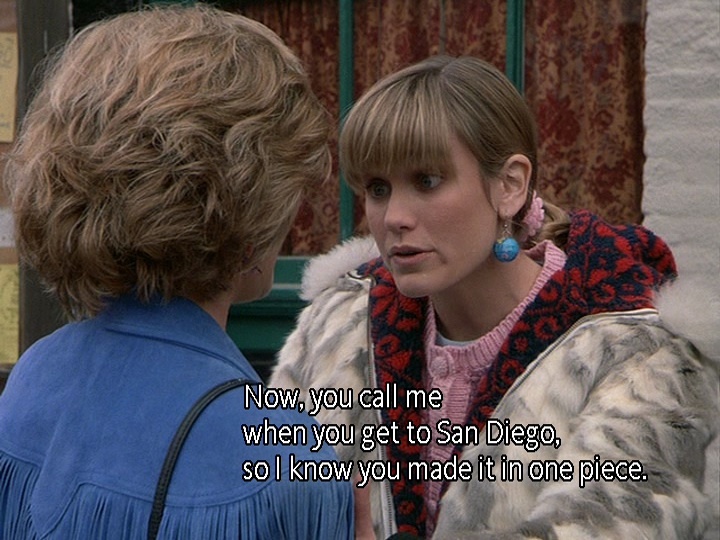 Tammy invites Holling and Shelly to San Diego, saying “We’ll get down. We’ll get a couple of buckets, a pony keg.” Shelly complains about Tammy spilling wine on her angora sweater, and resents how Tammy borrowed her clothes all the time. Tammy admits to perhaps flirting a little bit with one of Shelly’s boyfriends, Ernie. 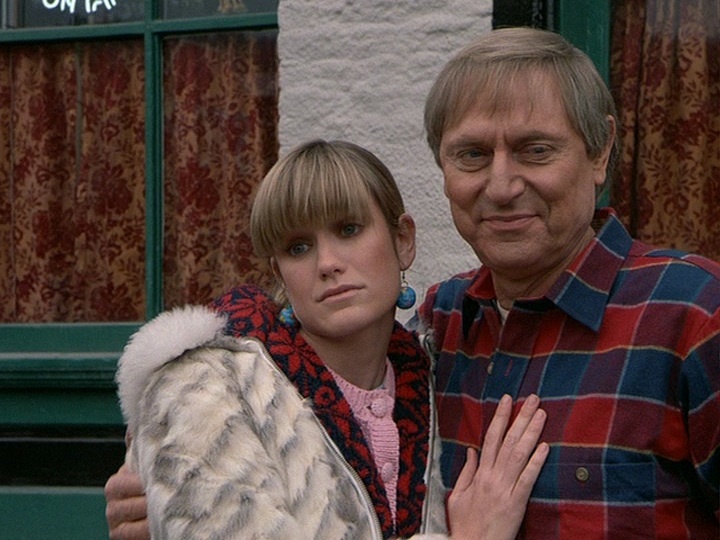 At the centre of the episode are two flawed mothers: Tammy, who was more a girlfriend to Shelly than a real parent, and the mother of Baby G, who we never meet and never see. In the end, Shelly doesn’t want her mother to change and acknowledges that without Tammy’s irresponsibility Shelly wouldn’t be the person she is, and wouldn’t have even been born. While Joel has reservations about the kind of mother who would abandon a baby, Marilyn seems confident that the baby will be well looked after. 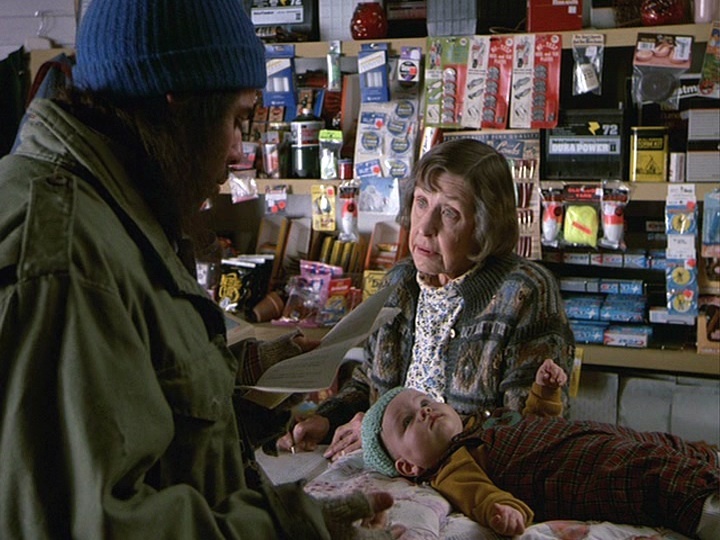 Of course, Marilyn is right: the townspeople take care of the baby as if she were their own. Perhaps in some alternate universe baby Barbara Jean will turn into Shelly one day. The Good: We appreciated the cohesiveness of this episode, with all three storylines dovetailing nicely. 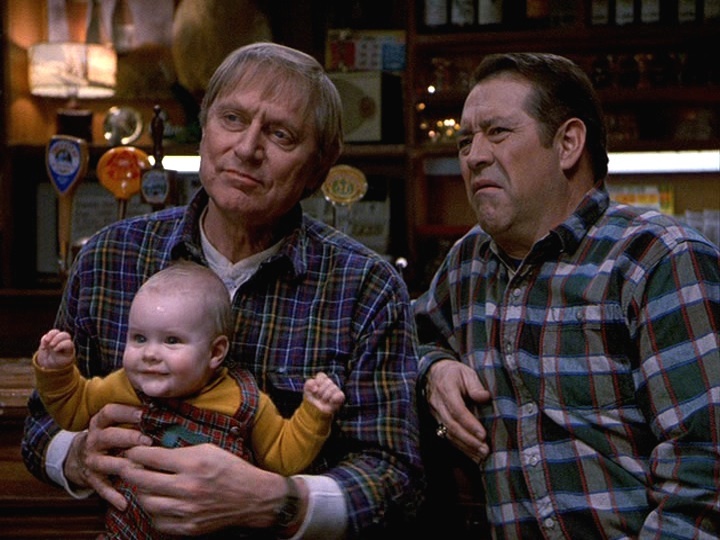 We also enjoyed seeing how each character interacted with Baby G, especially Ruth-Anne and Maurice. We can’t help chuckling when Adam says he didn’t know Ruth-Anne had a kid. It gets us every time. The Bad: This felt like an episode that should have had more involvement from Ed. 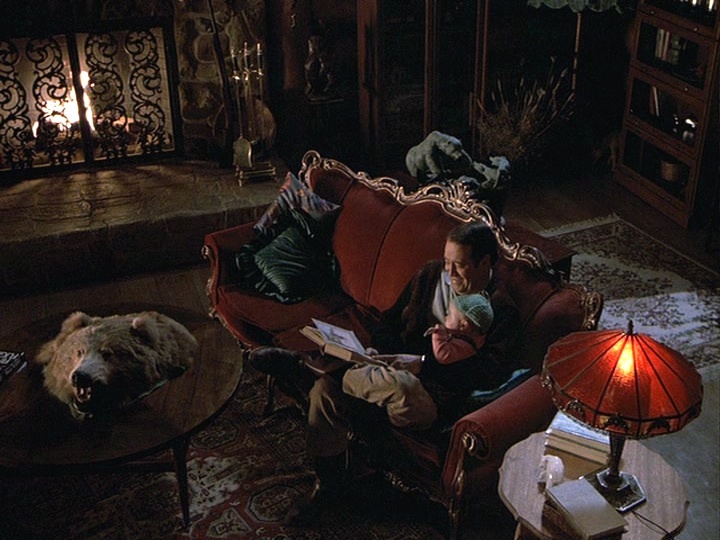 He is very much in the background here, even though he mentions having been abandoned by his parents. It felt like a wasted opportunity to delve a bit more into Ed’s past, which was touched on in a couple of previous episodes. 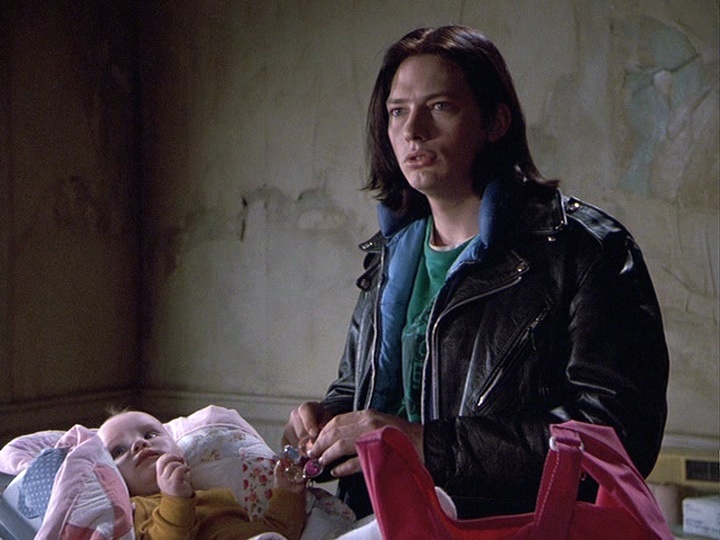 Despite interacting briefly with Baby G, Chris again appears primarily as the Greek chorus, rather than an integral character in the episode. 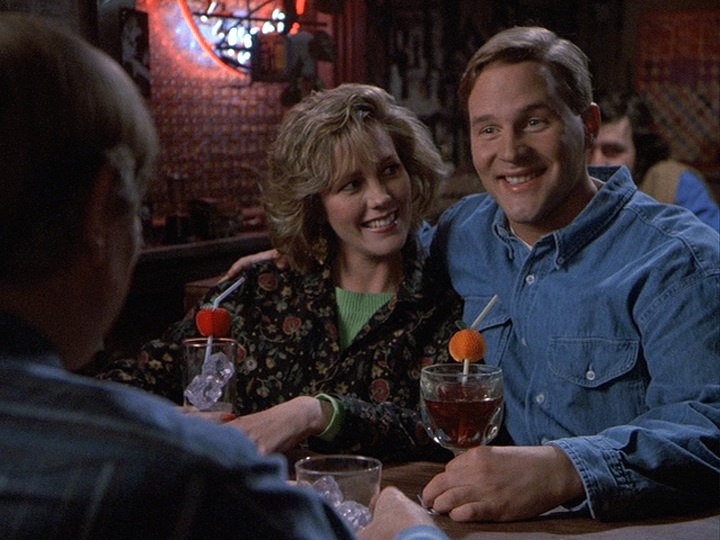 The Notable: The spot-on casting and performance of Wendy Schaal as Tammy Tambo. She truly seems like she could be Shelly’s mom or older sister.